presentational speaking assessment RUBRIC and REFLECTION - Listen to your presentation. 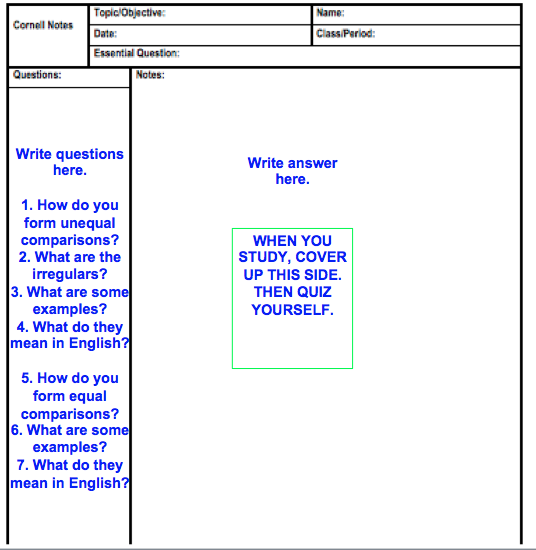 Then evaluate your performance by filling out the rubric and answering the reflection questions. 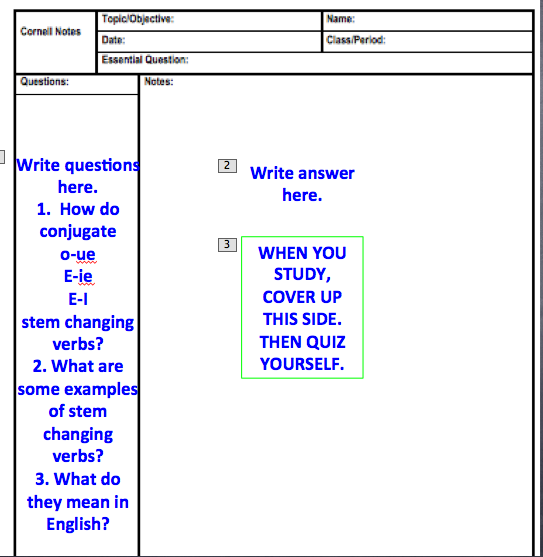 Put your completed reflection in your SPEAKING ASSESSMENTS folder in your GSF. cap2 letter to parents - Complete the letter. Then email it to your parent/guardian and cc: your teacher. ¡Gracias! HOMEWORK - Use puzzlemaker to create a wordsearch using chapter 2 vocabulary. 15 words. Clues in English. Answers in Spanish. Print out final copy.